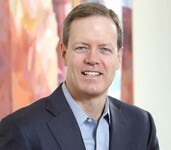 “The result of careful and deliberate succession planning process, President and chief Executive officer of 3M company, was selected Michael Roman", says Inge Thulin. “He is an experienced and conscientious leader focused on achieving high results, with excellent experience, increase sales, improve operating efficiency and value of all global units of the company”. Michael Roman for 58 years, from July of 2017, he held the position of chief operating officer and Executive Vice President, responsible for five business groups 3M, as well as for the international activities of the company. During his 30-year career at 3M, Michael held key leadership positions. Michael Roman was the head of the business group Industry, the largest business group of the company, which accounts for a third of world sales of 3M. Prior to that, he acted as chief strategist of the company 3M, in close cooperation with the Inge has developed a strategic plan for the development of the company. Michael worked in divisions 3M worldwide, including in the United States, Europe and Asia. Michael Roman has a master's degree in electrical engineering University of southern California and a bachelor's degree from the University of Minnesota. “The Opportunity to lead 3M into the future is a great honor for me,” said Michael. Under the leadership of Inga the 3M company rose to new heights, and I look forward to the opportunity to build on this momentum and to achieve the best results for our customers and shareholders”. Inge Thulin, 2012 acting Chairman of the Board of Directors, President and chief Executive officer of 3M company in the new role of Executive Chairman of the Board will continue to serve as Chairman of the Board of Directors of 3M, and interact with Michael Roman on long-term strategic initiatives of the company. Mike askew, independent Director of the Board of Directors of 3M, supports these personnel changes: “3M will have two strong leaders able to promote your company in the future. We welcome the appointment of such a talented leader like Michael on the office of President and Chairman of the Board of Directors, as well as the possibility to use the huge experience of Inge in his new role as Executive Chairman of the Board of Directors”.